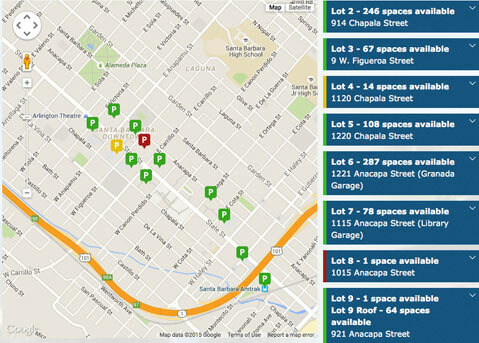 Already pretty quick, cheap, and easy, downtown’s public parking system got even simpler with the release of a real time webpage that lets users see exactly how many spots are available in each of the 12 downtown lots at any given time. The city’s Public Works Department announced the service on Monday, and explained in a press release it’s accessible by computer, tablet, or smartphone. The webpage automatically updates every 15 seconds and the interactive map can sync with a smartphone user’s GPS to provide turn-by-turn directions to the lot of their choice.